Last weekend, I photographed Marcy and Andrew’s classic Collingswood Grand Ballroom wedding. 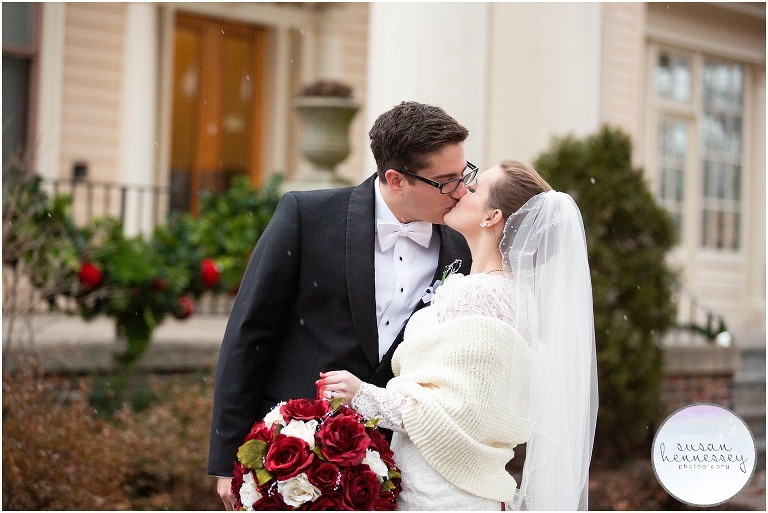 We had a beautiful winter day and their ivory and burgundy color scheme perfectly complimented the ballroom, we were even lucky to catch a light snow fall at the end of their portrait session, which was such a sweet and lucky surprise! 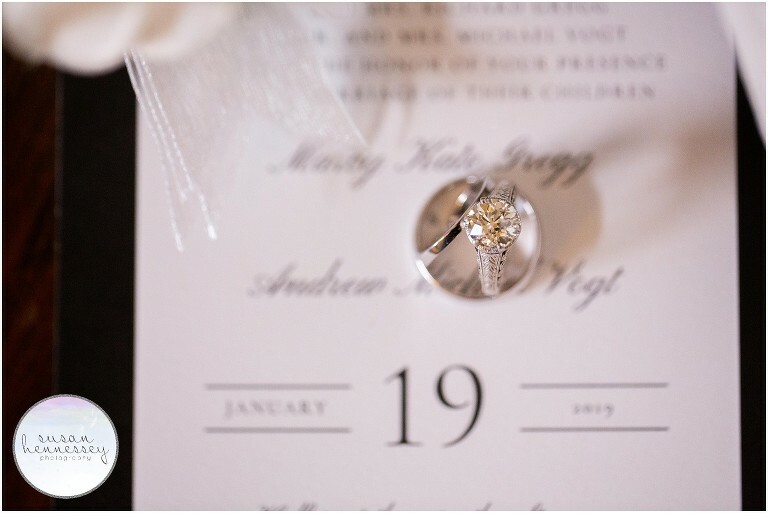 Marcy and Andrew first met on the first day of marching band at Temple University and their first date was dinner at a German restaurant, Bierstube in Philly. After enjoying dinner they walked to Franklin Fountain for some delicious ice cream! Now that these two are married, they are planning a belated honeymoon for this Summer and when they return, their dream is to build a home together, have kids, do a bit of traveling as a family and to have fun and make memories during all of it! 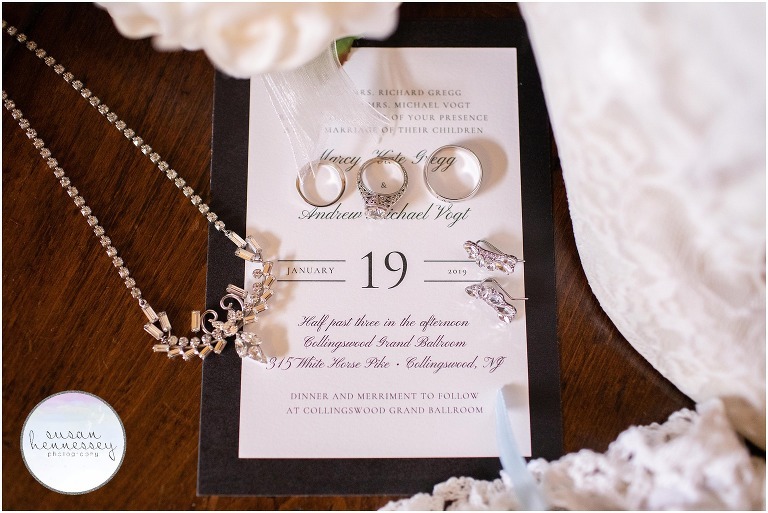 Are you planning a Collingswood Grand Ballroom wedding? 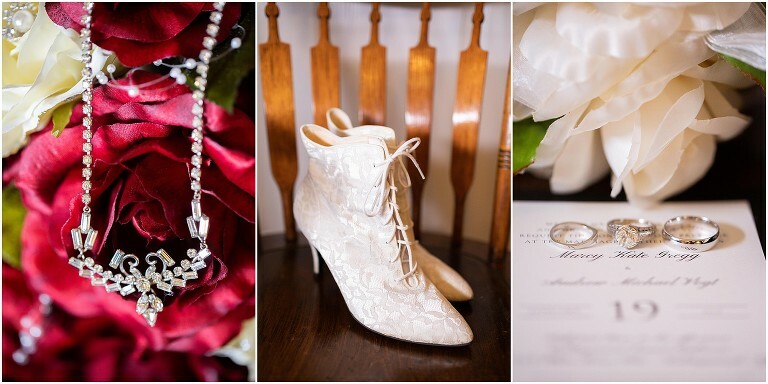 Click here to view all the gorgeous weddings I have photographed at this beautiful venue and if you’re ready for more info, click here to fill out my contact form!